Fashion is in bloom! And what better way to celebrate the trends this season than by tailoring the best spring has to offer for women of every age? Harper’s Bazaar has corralled some of the industry’s leading ladies to curate the best in makeup and skincare–no matter your birth year. The Beauty Diaries highlight a different woman from each decade of her life to find out her diet, fitness tips, haircare regimen and more–showing how one grows to learn what works best for your body. 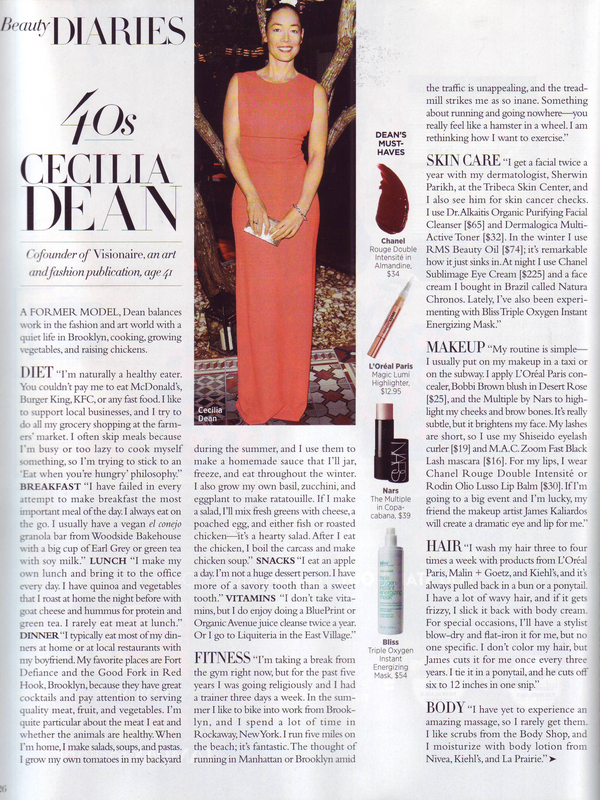 Cecilia Dean, a former model, represents women in their 40’s and lives her life as naturally possible, noting the importance of natural ingredients both for skincare and food. On her list of skincare must-haves lies our rms beauty oil, a potent elixir that nourishes and revitalizes skin. “It’s remarkable how it just sinks in,” says Dean. Apply to clean, damp skin to see for yourself how this unique facial oil quickly moisturizes and balances even the most dry of skin types.